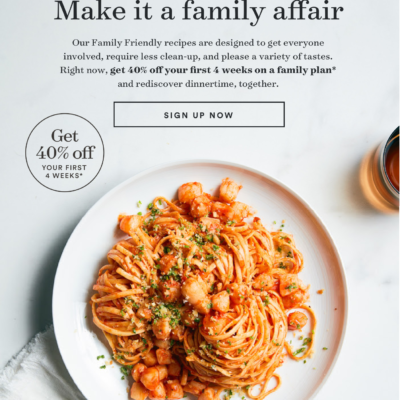 Plated is a weekly dinner kit subscription box with high quality ingredients and chef-created recipes. Each week you’ll choose from a variety of quick gourmet meals that range from meats, chicken, seafood, and purely vegetarian options. There’s enough selection to please all palates, and the recipes are seasonally focused. Plated seems to have made a concerted effort to offer some familiar comfort food type options each week. You can swap out your recipes and skip any week you don’t want. 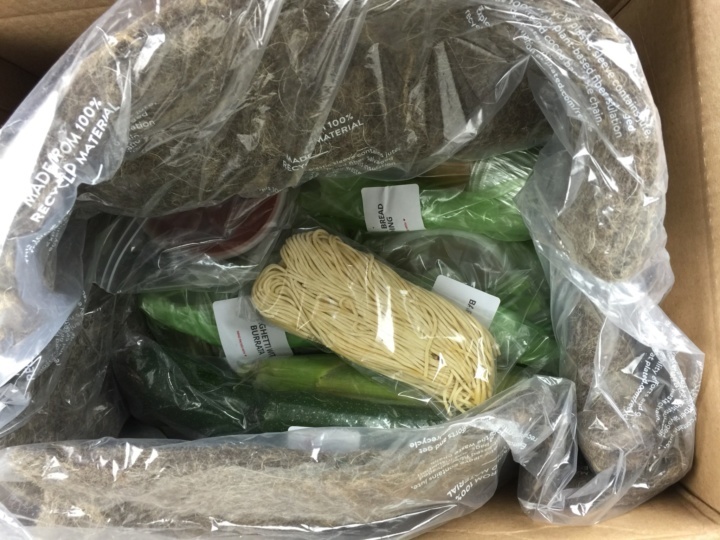 Plated uses recyclable/compostable jute for its insulation. It is made from reclaimed coffee and cocoa bean bags. I couldn’t stand throwing it out, so I’ve used some as a mulch substitute around the trees and plantings in my yard. Boxes are always packed with the meat on the bottom, underneath a few big ice packs — the rest of the food is set on top with more ice. 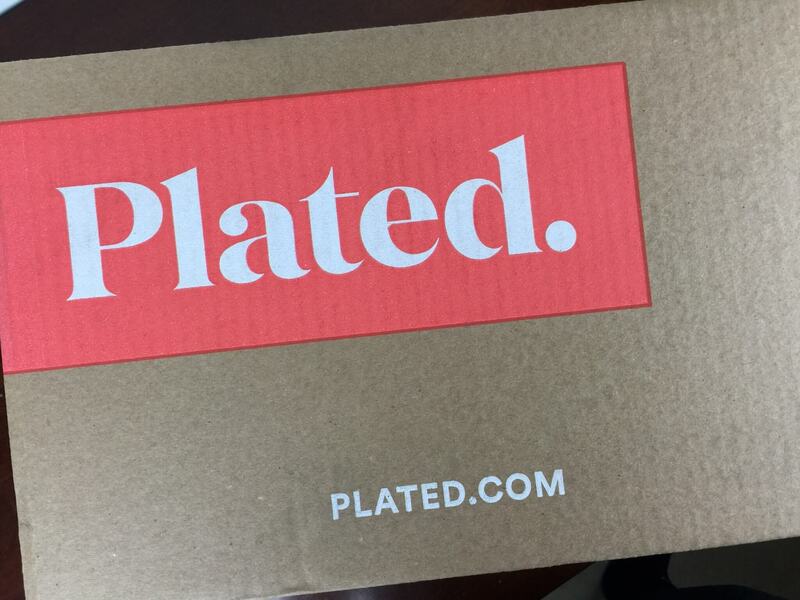 Plated sends a weekly email — it doesn’t tell you much about your meals, other than what you need from home. There’s now no reminder of the ease of preparation and all the other subscriptions provide some version of that. 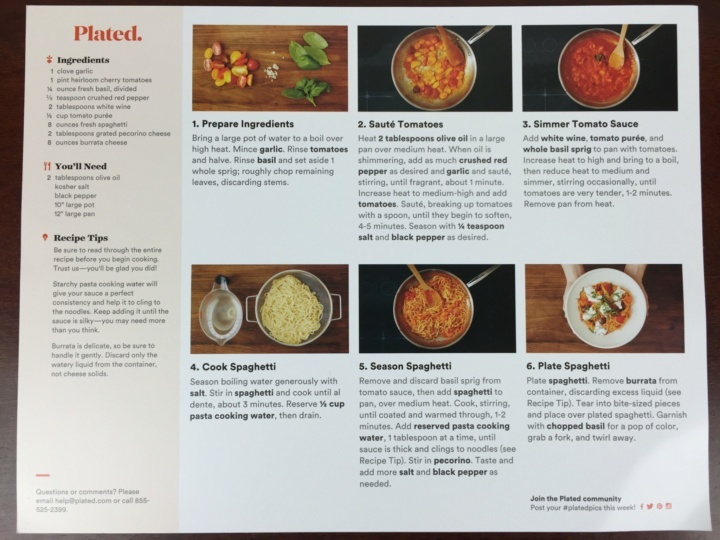 On-card information is now streamlined and includes only prep-time, number of servings, and calorie count. Traditionally, all of Plated’s meals serve two people, but recently we’ve seen a few with 3 person serving sizes. Unless stated otherwise, the pics of finished dishes show a single serving. 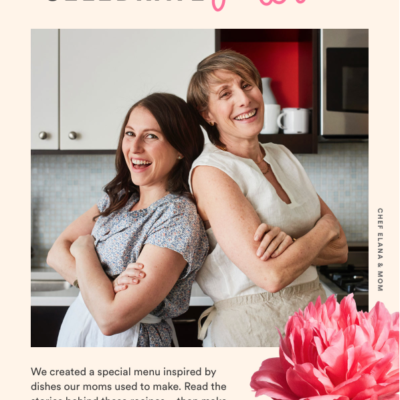 Plated’s recipes rely on mise en place and then cook – we often mix up the steps from how the recipe is written, but we’re both experienced cooks and know what can be accomplished while something else cooks. So, read your cards if you need the step by steps. Everything in our box! 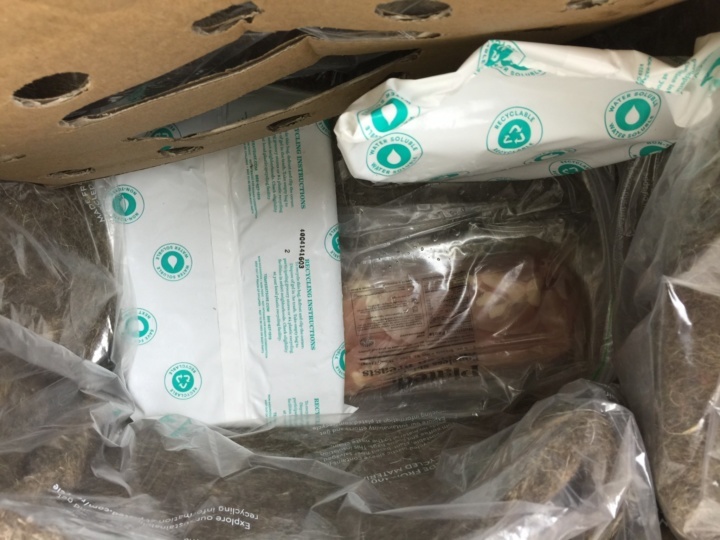 All the food comes bagged up and separated (mostly) into the recipes — meat and some large or delicate items are bagged separately. Barbecue Chicken With Basil Zucchini. 40-50 minutes, medium, 500 calories per serving. 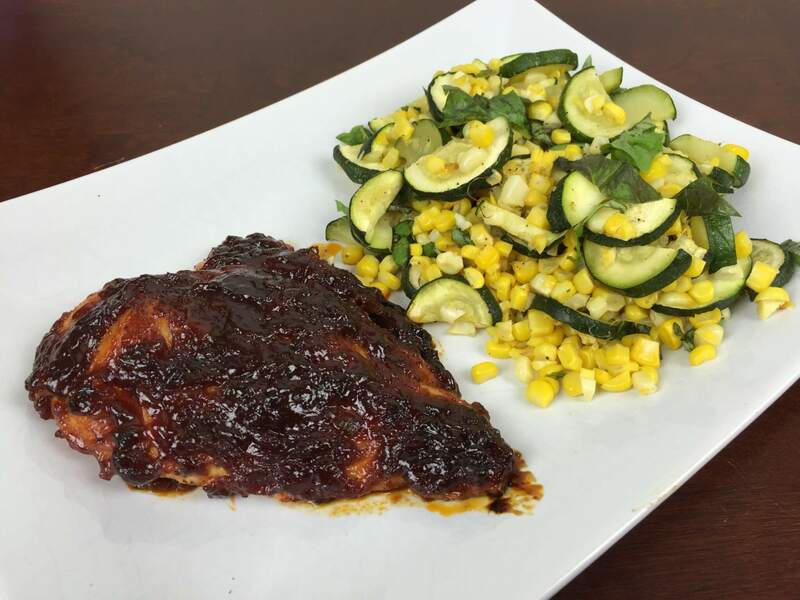 This dish transformed roast chicken breast into a gourmet meal by smothering it with a spicy homemade BBQ sauce and using fresh corn and zucchini for an ample side. The sauce was a tomato-based BBQ sauce, but the ketchup used came already infused with flavor — it was a bit like cocktail sauce. A seasoning blend added a formidable bit of flavor, with heat provided by both fresh jalapeno and cayenne powder. The sauce prep added a fair bit of time to the recipe, but it was well worth it. The side was also quite wonderful, with the par-roasted corn retaining its wonderful sweetness and pop. Preparation took a little while, but nothing was overly complex. A very delicious and classy take on barbecue-less BBQ. 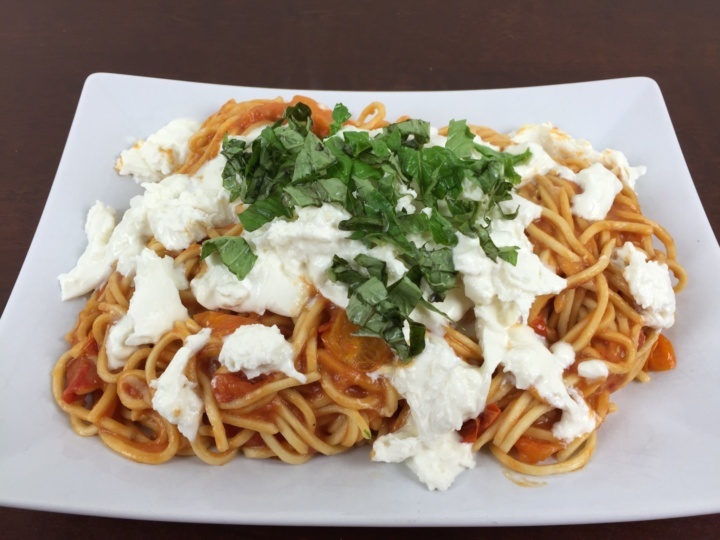 Fresh Spaghetti With Heirloom Tomatoes And Burrata. 25-35 minutes, easy, 460 calories per serving. This was a very creamy Burrata, and part of it melded into the sauce, creating a very luscious texture. The heirlooms were a nice touch, adding both color and depth of flavor to the sauce. 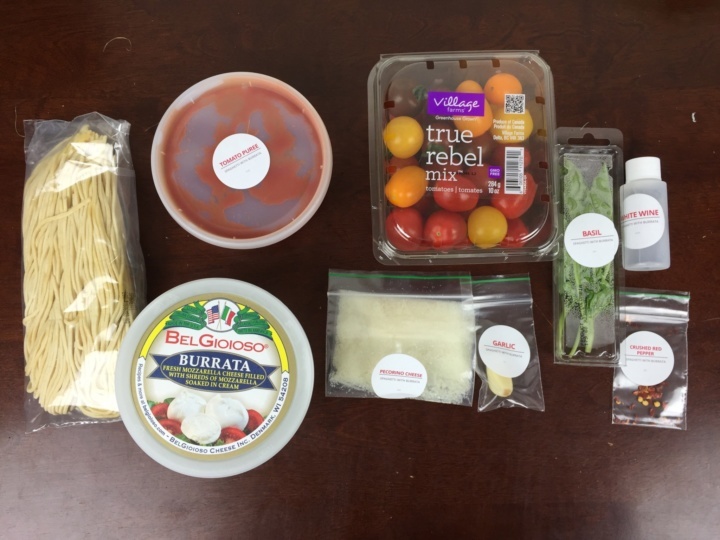 Very simple to make, the quality of ingredients, from the fresh pasta, to the creamy Burrata and flavorful tomatoes, really elevated the dish. This pic shows both servings, plated family style. There was plenty of burrata to get some in every bite — it made for a very decadent dish! Nutella Brioche Bread Pudding. 30-40 minutes, easy, 570 calories per serving. We made this a couple weeks ago and loved it so much that we ordered it again! We enjoy Plated and order it frequently. 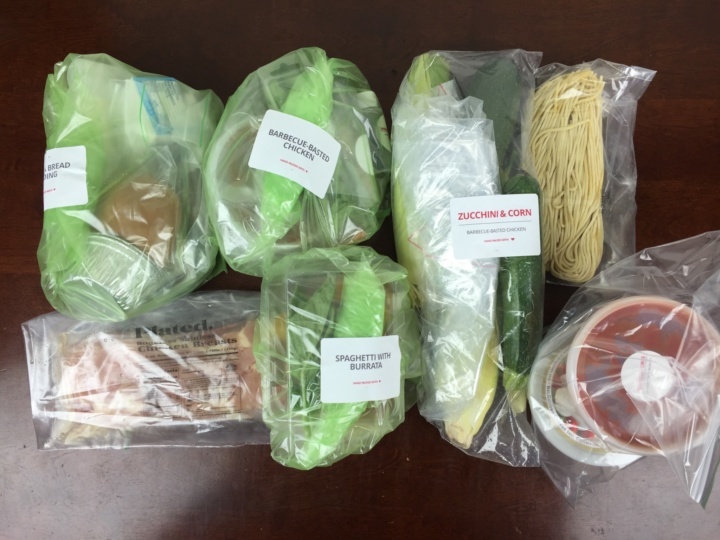 Of the three meal kits we regularly order, Plated shoots for the most upscale image, echoing popular trends in food culture. Up until recently, they would typically employ a French sauce with most dishes. 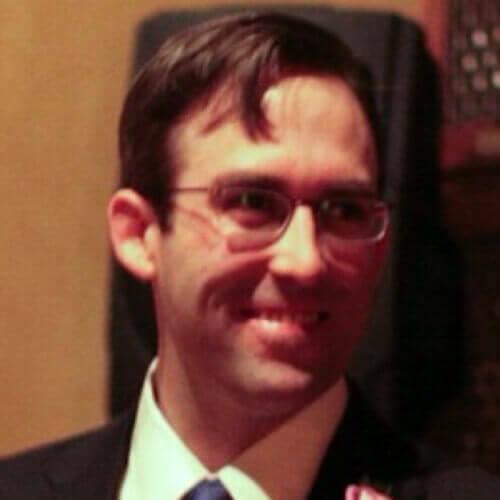 Lately, however, we have noticed more simplified and mainstream offerings, and they seem to be dialing back the pretentiousness and trendiness to appealing to a broader audience while still offering top notch fare. What do you think of Plated? Visit Plated to find or more or to subscribe. Currently you can get 2 free plates when you buy 4 when you sign up with this link (no coupon code required). The Description: Ingredients for chef-designed meals delivered to your door. You select the chef-created recipes on the Plated.com website and Plated sends you a box of food and recipes. 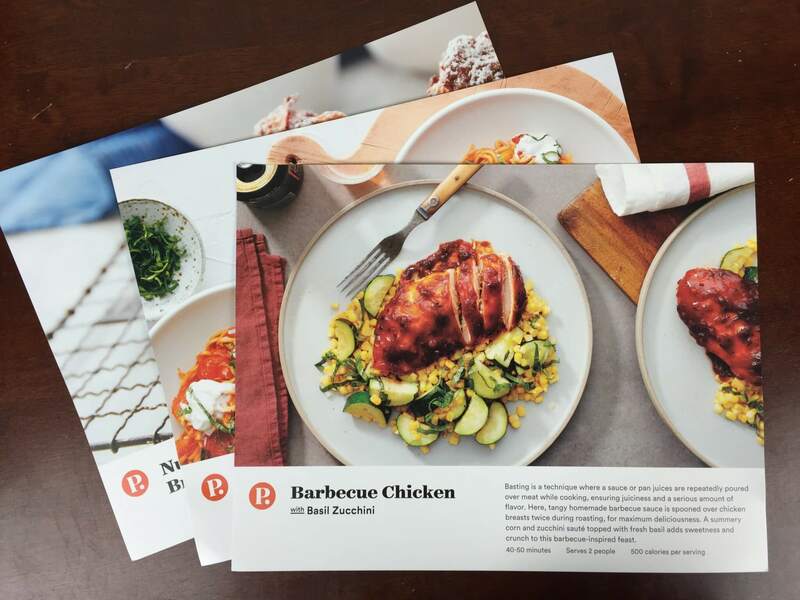 The Price: $12 per plate – must order in multiples of 2 and your box ships free with $50 in product. If you want only 2 meals, go for a Chef’s Table + a regular, or 2 regular plates plus a dessert! 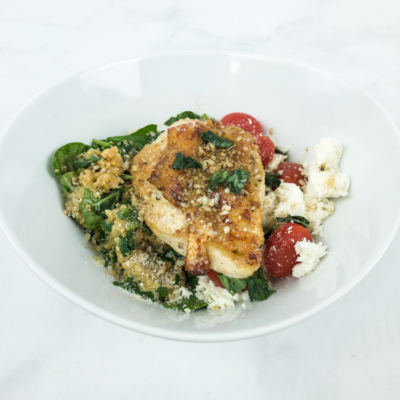 See Plated in the Hello Subscription Box Directory! 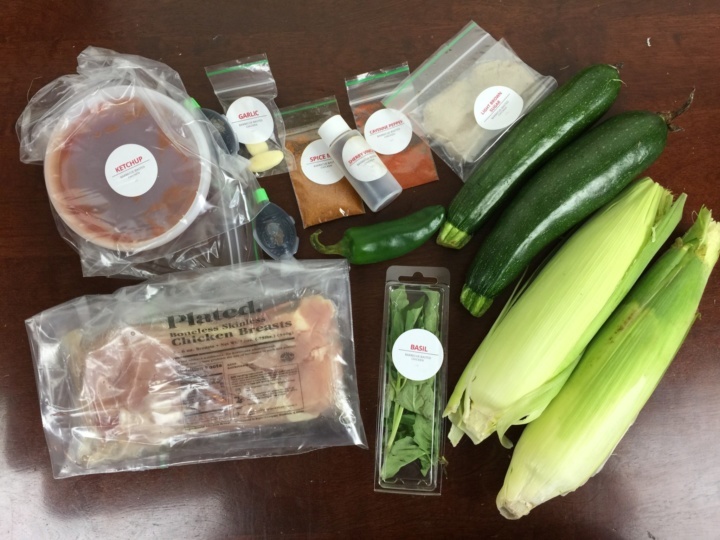 The Categories:Food & Cooking Subscription Boxes, Meal & Dinner Kit Subscription Boxes. The Reviews: See all our Plated Reviews. The Spoilers: Previews and ordering of future weeks are available on the Plated site!.